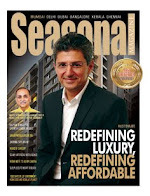 Seasonal Magazine: Neptune IPO: Invest or Avoid? Neptune IPO: Invest or Avoid? The profile of Neptune Developers and that of their Mumbai projects signal that their Rs. 495 crore IPO is worth considering. But this new generation Mumbai developer’s books are complex and will require equally complex analysis to arrive at the answer to that crucial question – invest or avoid. Firstly, Neptune has still not disclosed the share price at which the Piramal Group PE realty fund IndiaREIT took stake in the company a few years back. Secondly, the company has a subsidiary Neptune Realtors Private Ltd, which is building ‘Evolution’, its largest commercial project near Bandra Kurla Complex, and in which Neptune Developers want to increase stake using a part of the IPO proceeds. And to complicate matters further, NRPL has four classes of shares presently – Class A, B, C, & D, with IndiaREIT having a 30% stake in this subsidiary too. But such cross-holdings are nothing new to the realty sector, with sector leaders like DLF and Unitech juggling their projects and investments across tens or even hundreds of companies. Much will depend on at what rate Neptune will be offering their equity, with some analysts estimating the fair price at Rs. 155 to Rs. 163. Neptune Developers has seven ongoing projects including residential and commercial, with a total saleable area of around 65 lakh sq ft and another proposed project with a developable area of 7.66 lakh sq ft. The company seems to enjoy good margins with a net profit of Rs. 9.16 crore on a total income of Rs. 15.92 crore for the last financial year. This developer with only three completed projects to its credit, however, has a debt of nearly Rs. 320 crore. Neptune’s main promoters are Nayan Bheda and Sachin Deshmukh, both in their late 30s, and who were earlier with city based unlisted developer Nirmal Lifestyle.